When Opelika, Ala. found its residents at a economic and educational disadvantage not having full-access to high speed internet and cable, the city tried to attract service providers to fill their needs, but ultimately failed. That’s when the city decided to fill the void itself and built a municipal fiber optic network, providing 1 gigabit per second internet speed to Opelika Power Service (OPS) customers. 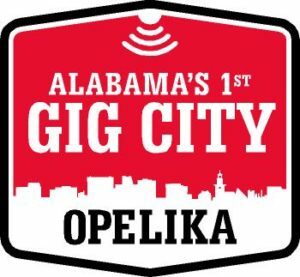 Branding itself “Alabama’s first Gig City,” Opelika invested about $43 million in the network offering customers “triple play” — telephone, television and Internet. But despite the 425 miles of fiber running throughout the city the service begins and ends in Opelika. At least one Alabama Senator hopes to change that. For the third year in a row, Auburn-Republican state Sen. Tom Whatley has introduced legislation in the state Senate that would allow OPS to expand its high speed internet service outside of Opelika to constituents in into underserved neighborhoods in North and South Auburn. Under current law, municipal service providers like OPS are unable to expand beyond their municipal jurisdiction. Whatley’s bills would remove coverage area restrictions for public providers of municipal telecommunication services and allow those providers more leeway in providing broadband service to rural areas of Alabama. Providers are already supplying these areas with cable and phone service, but Whatley’s bill would open up avenues for providing high speed internet service. For Whatley, the decision to introduce the bills is all about his constituents. Alabama Republicans and Gov. Robert Bentley have made it a priority to provide Alabama’s rural areas with high-speed Internet service, a move they believe will make great strides in lowering the unemployment rate and, thereby, the state’s poverty rate. Currently, only 44 percent of Alabamians outside of major cities have access to broadband Internet service, according to the Federal Communications Commission. Whatley’s bill is intended improve Internet access by creating new providers, which will directly correlate to increased economic development. SB 228, along with two other telecommunications bills Whatley has introduced SB 151 and SB 192, will go before the Alabama Senate Transportation and Energy Committee on Wednesday, April 5.